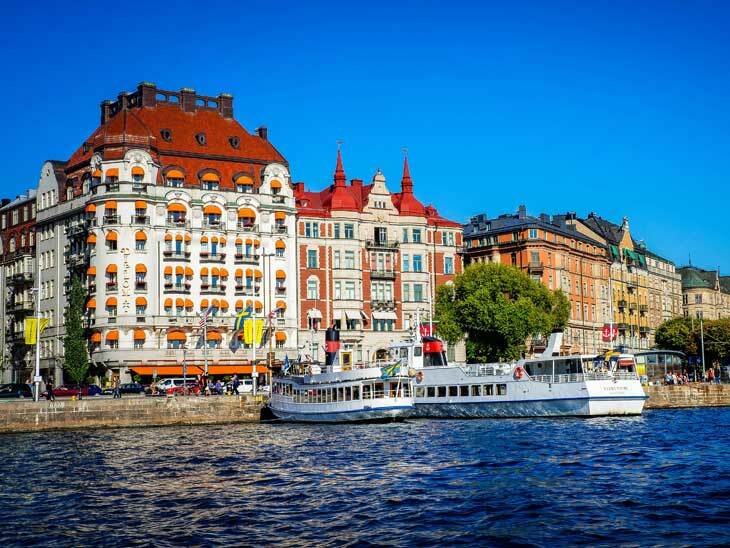 One of the greatest ways to enjoy and explore Scandinavia is without a doubt on a cruise. The cruise will provide you with the most famous and “do-not-miss” attractions, which is great. You should add some local flavour to your itinerary to make it perfect. Here are a couple of lesser known travel tips in Stockholm and Copenhagen, off the beaten track. Enjoy your cruise to Scandinavia! Stockholm is the capital of Sweden, built on several islands. The Old Town is famous internationally and usually a part of any itinerary. Of course, the Old Town should not be missed but there are so much more to see and do in Stockholm. The Swedes call Stockholm “The Capital of Scandinavia”, which makes sense. Since Stockholm is built on islands there is water everywhere. You can go on a cruise, rent a boat or jump on a ferry. 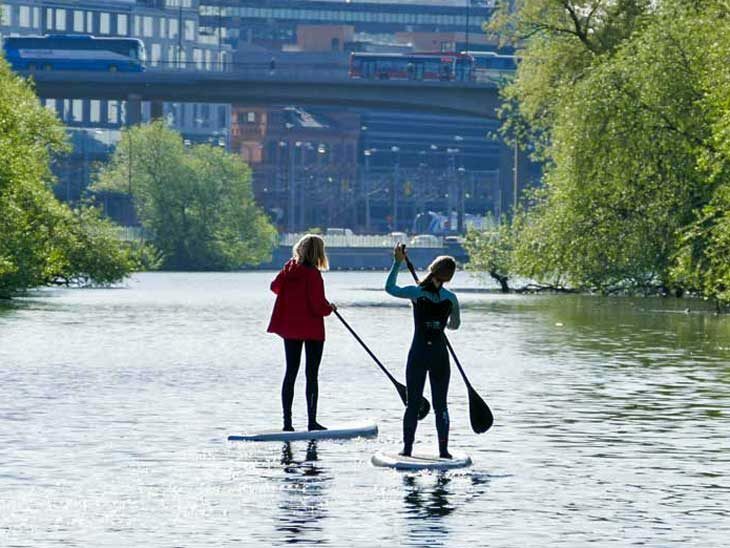 However, the coolest and most spectacular way to experience the waters of Stockholm is on a SUP. You can rent a SUP and go own your own or in a group at Surfbussen. It might sound weird to visit a cemetery, but this is something special! The Woodland Cemetery is an architectural masterpiece, designed by Gunnar Asplund and Sigurd Lewerentz in 1915 and a UNESCO World Heritage Site since 1994. Go here to experience the scenery, the artwork, the architecture and the peace and tranquility. Do remember that it is a cemetery with more than 100 000 graves, so please don’t interfere with any ceremonies during your visit. Easiest way to get there is to take the subway to station Skogskyrkogården, which is less than 15 minutes ride from the Central Station. Group or private tours are available. 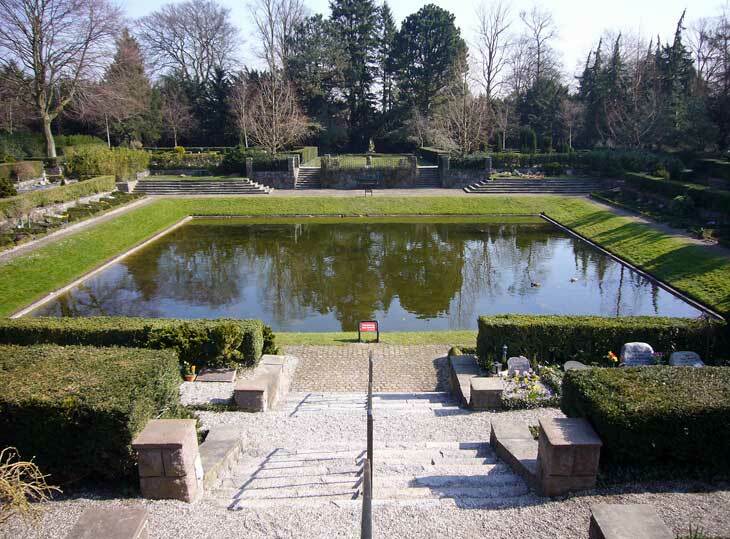 Audio-guide in Swedish and English to play on your phone: https://izi.travel/en/ca73-world-heritage-the-woodland-cemetery-official-audio-guide-in-english/en. Free WiFi is available at the visitor´s centre. 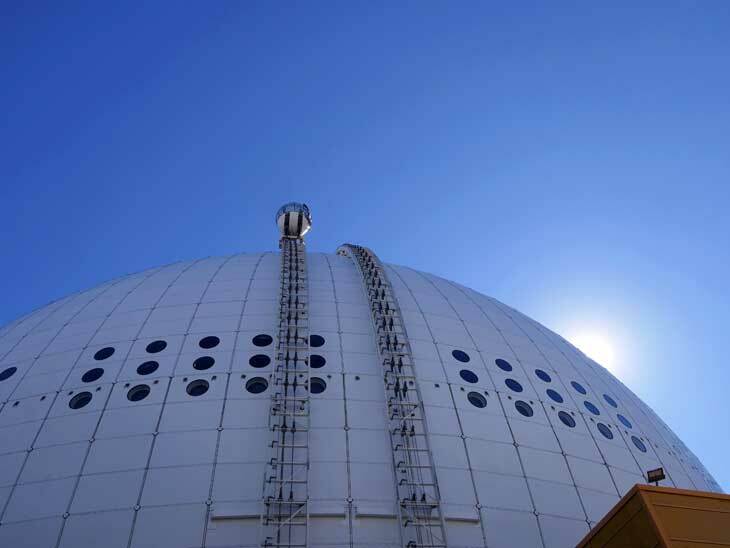 The Ericsson Globe is one of Stockholm’s biggest arenas used for sports, concerts and events. To see the inside, you will have to attend an event. To see it from the outside, with a great view over Stockholm, you simply take the Skyview. This is easily combined with The Woodland Cemetery mentioned above. Just get off the subway at Gullmarsplan and ride the tram 1 minute to station Globen. Copenhagen is the capital of Denmark, famous for design, its bikes and the joie de vivre of its citizens. The Danes work hard but do enjoy their time off as well. Yes, another burial ground on the list. This cemetery is well worth a visit during any season. 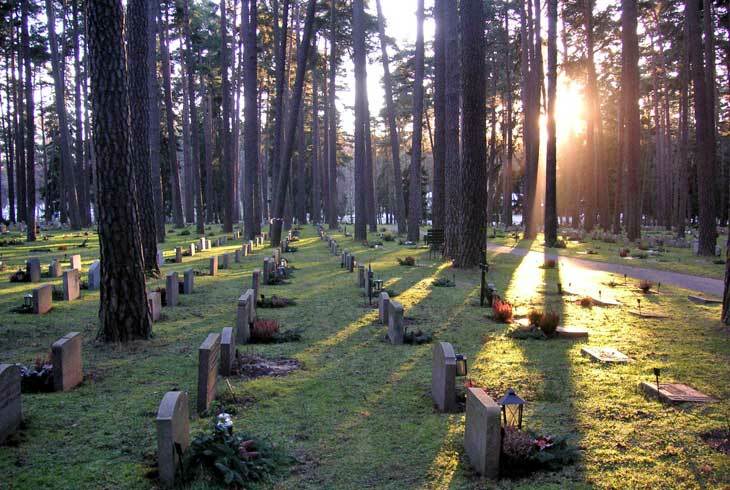 Famous for having more than 9000 graves from World War II and section A that is reserved for people who have contributed to Danish society. You have probably heard about Nyhavn, which is nice but also crowded with both locals and tourists, especially if it is a sunny day. 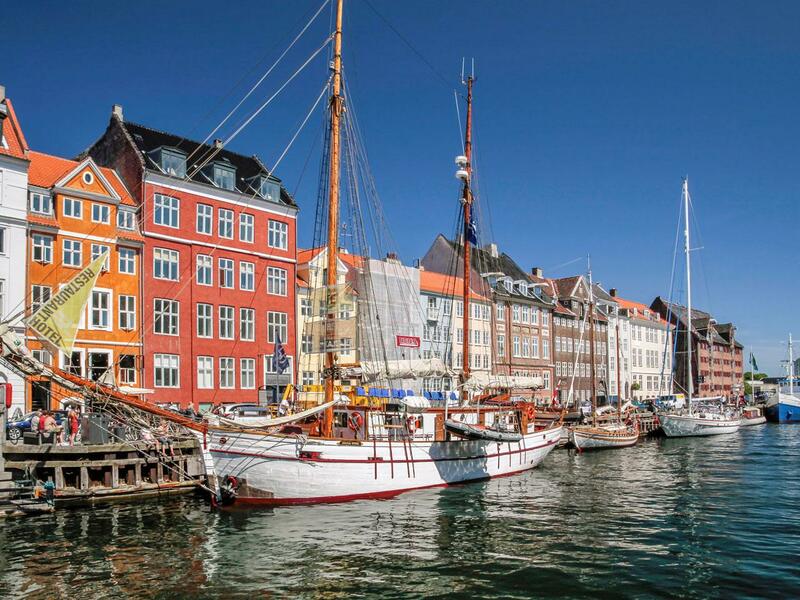 If you want to enjoy life by the water but want to get away from the hustle and bustle of Nyhavn, then you should visit Christianshavn. 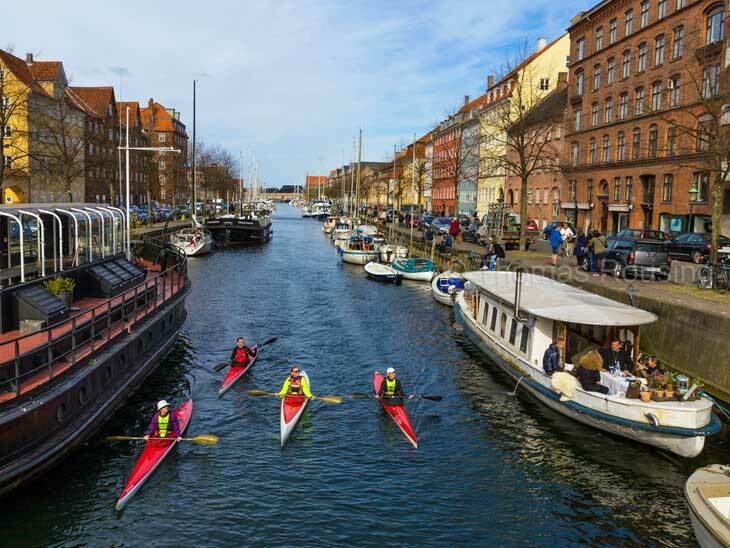 Christianshavn is a residential are with shops, cafés and restaurants where you are can stroll along the canal and enjoy life. If you are in to Asian food, we can recommend Kiin Kiin Bao Bao for a meal. This is not far from Christiania and can easily be combined. We have all heard of the amusement park Tivoli in Copenhagen, but did you know that is another one? 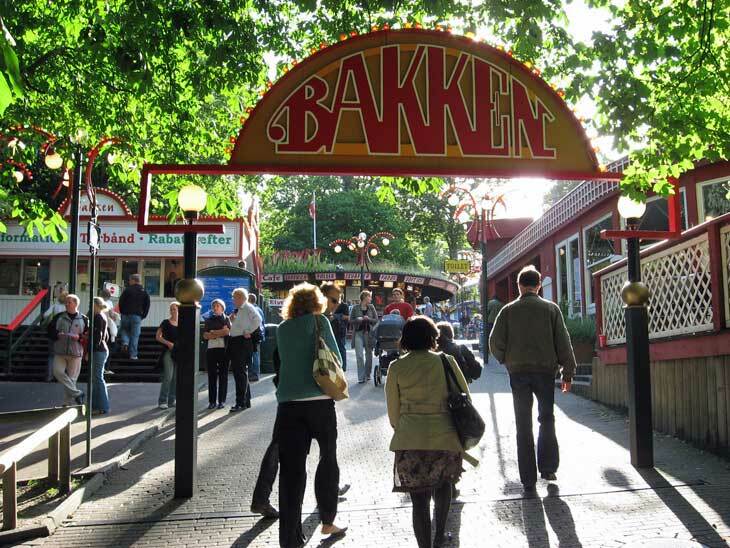 Yes, only 20 minutes by train (S-tog) you will find Dyrehavsbakken aka Bakken. Entrance is free, but the attractions and rides have a charge. If you want some peace and quiet, you can visit Taarbæk which is a quaint suburb not far from Bakken. The tiny yacht harbour in Taarbæk is excellent to visit on a sunny day. The Öresund Bridge was inaugurated in 2000, connecting Sweden and Denmark. Sweden is just a 25 min train ride away from Copenhagen Cenral Station. Get off in Malmö and explore the parks, people watch in Lilla Torg, the twisted building Turning Torso, visit Malmö Konsthall (Art Gallery) and enjoy the food scene. Malmö is usually a bit cheaper than Copenhagen due to currency exchange rates and the fact that it is a smaller city. 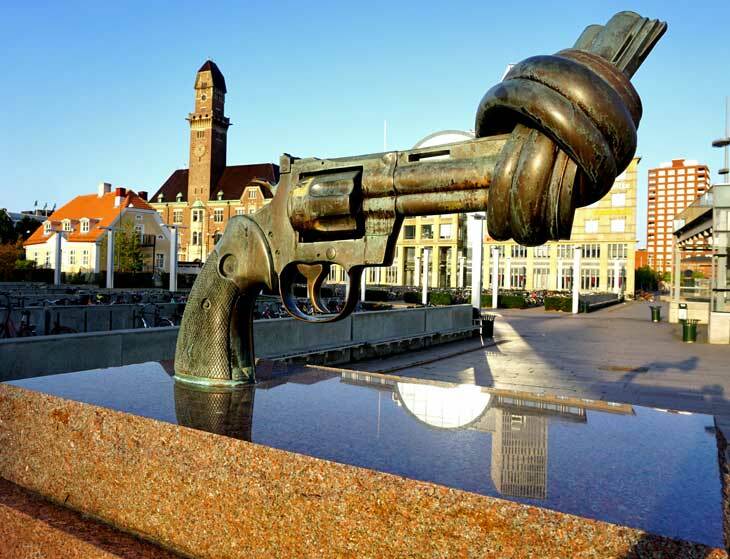 Here you will find a good list of attractions and sights in Malmö. 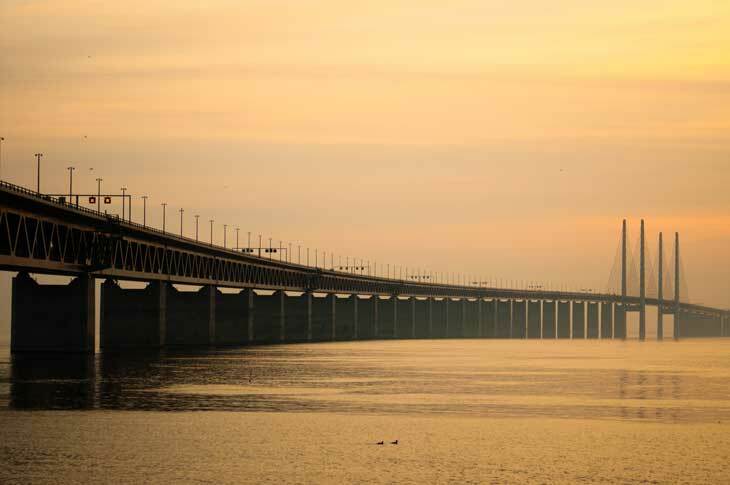 If you are a fan of the TV-series The Bridge, a visit to Malmö is a must because it was filmed in both cities. Do not forget to bring your passport when going to Sweden, even if you are within the Schengen zone. This list of great cocktail bars in Copenhagen is from 2014, but still valid. Stockholm and Copenhagen are exciting cities with so many things to see, do and eat. The ones above are my favourites. Please share you favourites in Stockholm and Copenhagen in the comments below, on Twitter, Facebook or Instagram. I am very much looking forward to hear from you!